Cloud technology has been growing for some time now and will become mainstream in near future. It has many advantages in terms of costs, flexibility, scalability and ease of deployment. It also has advantages in terms of security features but given the advantages there are multiple cons. The protection and data backup are major issues which companies overlook while deploying the cloud. Everything is so easy to deploy that these issues are overlooked. 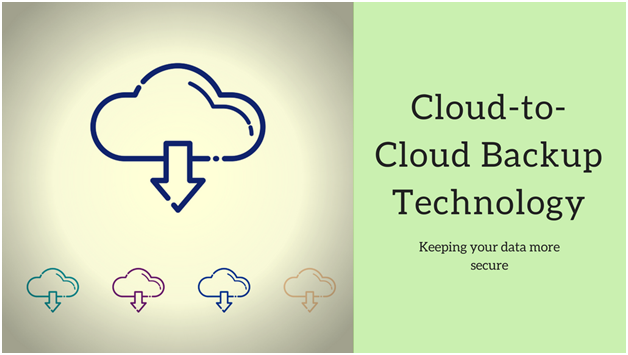 Cloud-to-cloud backup technology is an essential technology if your company is using cloud infrastructure. When application and IT infrastructure are used from the cloud, the company is actually giving away a substantial part of its capabilities to a third party. These poses risk. There are significant data protection risks in the cloud. A cloud service must have multiple data centers and redundant data store to ensure business continuity and data recovery under siege. It must also provide enterprise grade data security. Cloud services have outages these happen rarely but they do happen and backup is essential during such outages. The difference between cloud and on-premise services should be enough to understand the need of backing up the cloud. SaaS suppliers typical take responsibilities for the infrastructure availability, but data is sole responsibility of the client. Human error- overwriting of a field in a customer record or wiping the entire data sheet. Backupify, a cloud-based data provider, estimates 1 in 3 company’s loss SaaS data. End of subscription can lead to cleaning of crucial data if robust extraction process is not in place. Therefore, cloud backup is a crucial aspect of using the cloud services. At a small scale, user can create a copy on local drive for services like G-suite or Office 365. For larger organizations APIs will have to be used to back up to the local servers or their own data center. Backing up the services is a step against the whole lowering the infrastructure costs and moving to cloud step. But this is important as it assures the safety of data. Given the options, cloud-to-cloud back up presents as a better option. This option of cloud-to-cloud backup provides better costs, fast recovery and flexibility. It also goes with the whole agenda of using cloud services in the first place. However, Cloud-to-cloud back up is not mainstream at the moment and one in ten users back up the cloud but this is likely to double by 2020. Backup, Cyber Security, Security. permalink. Secure your website before Google’s Chrome marks it Insecure!